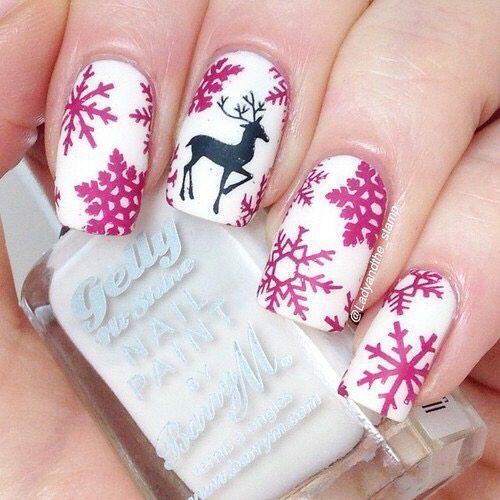 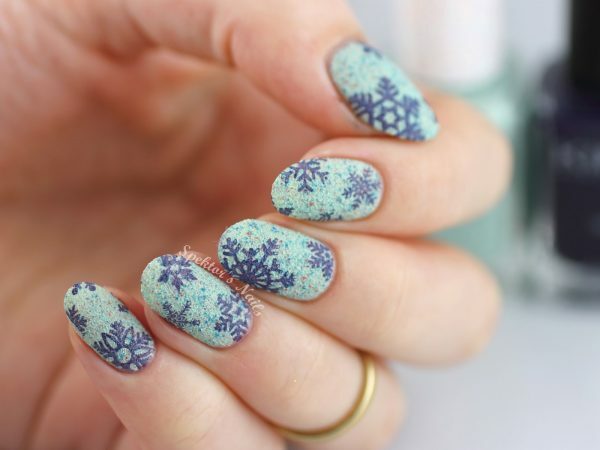 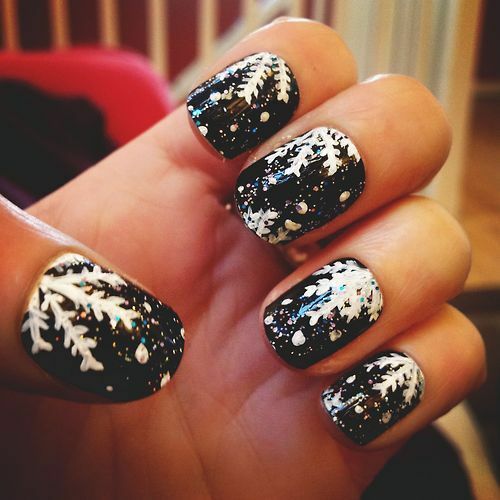 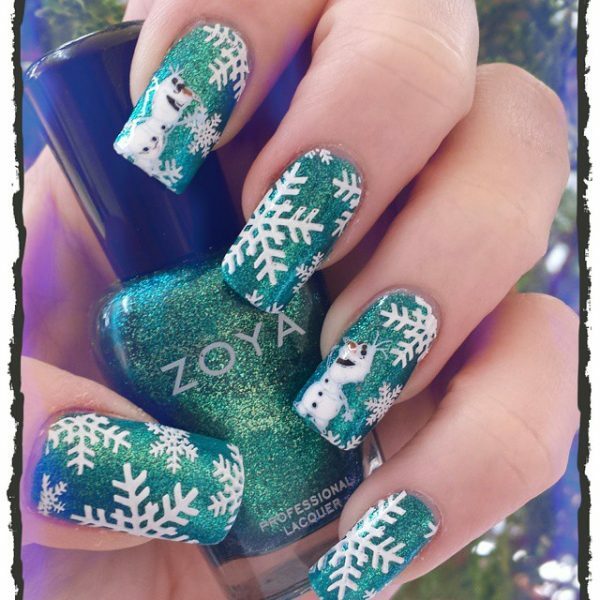 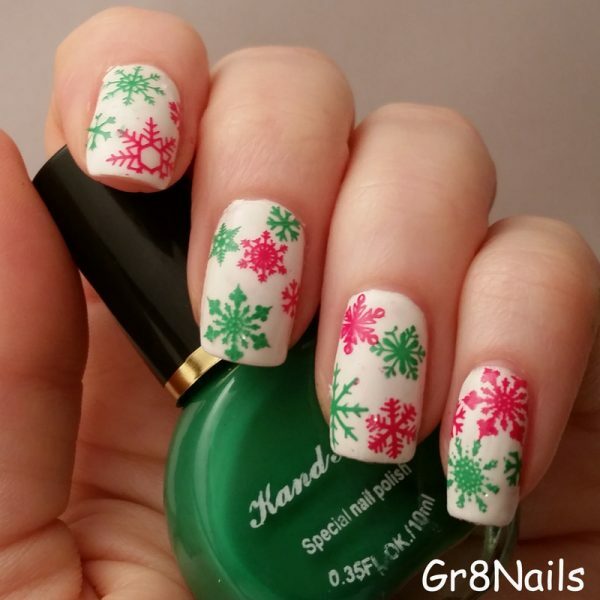 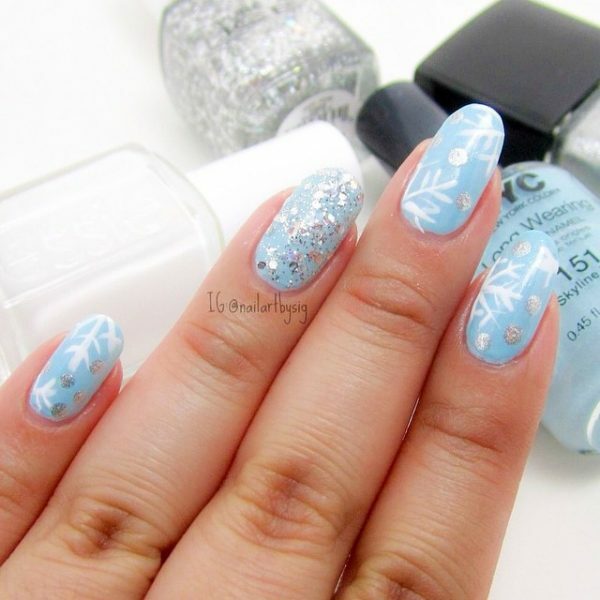 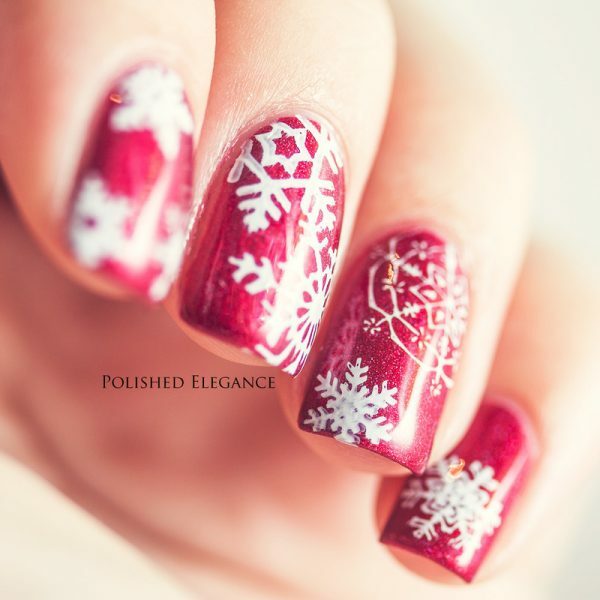 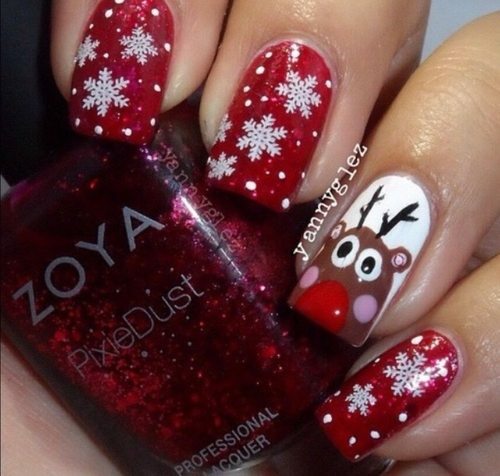 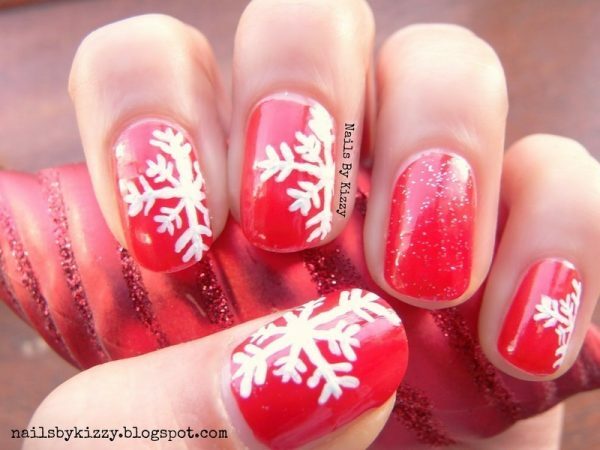 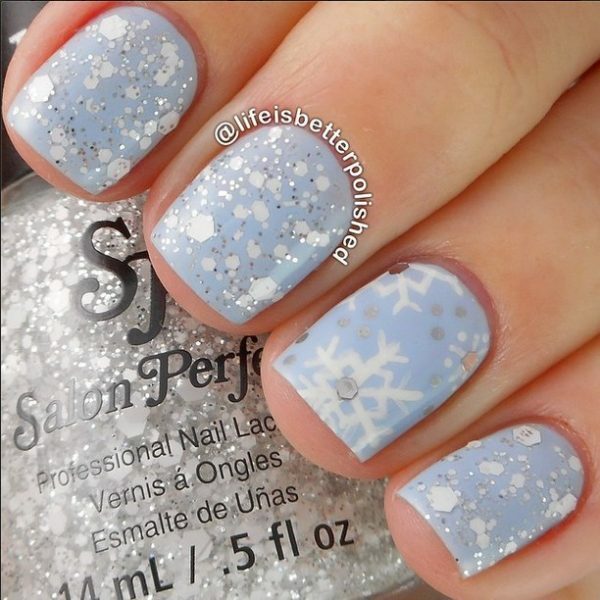 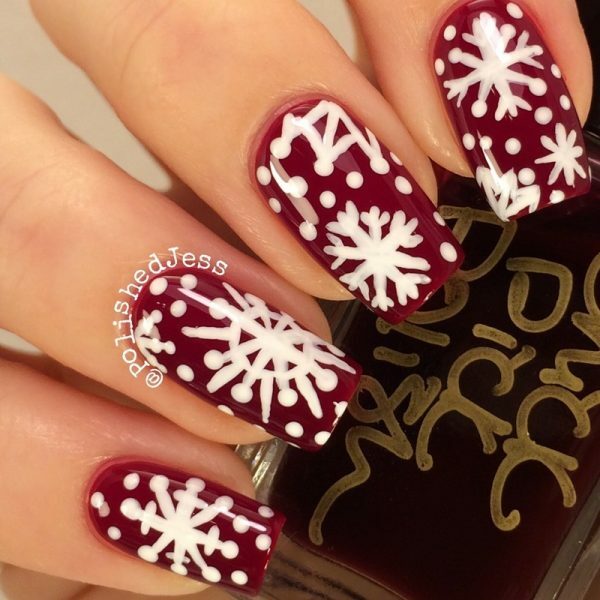 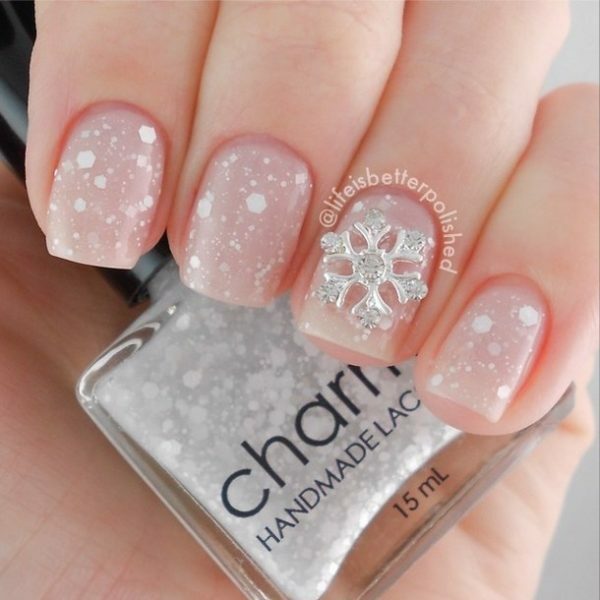 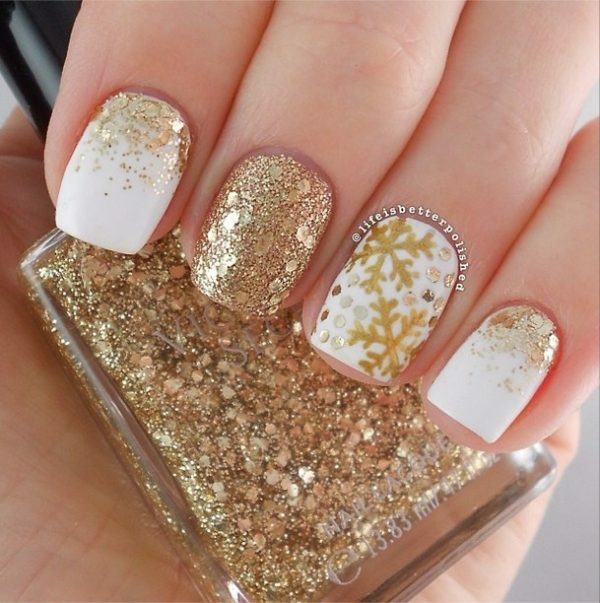 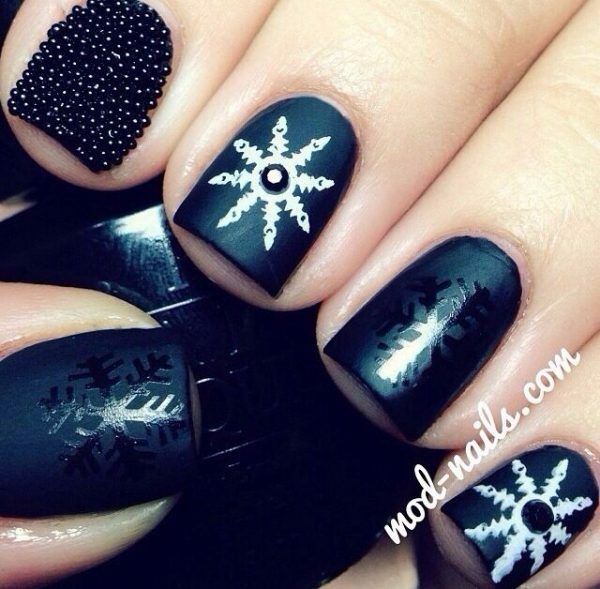 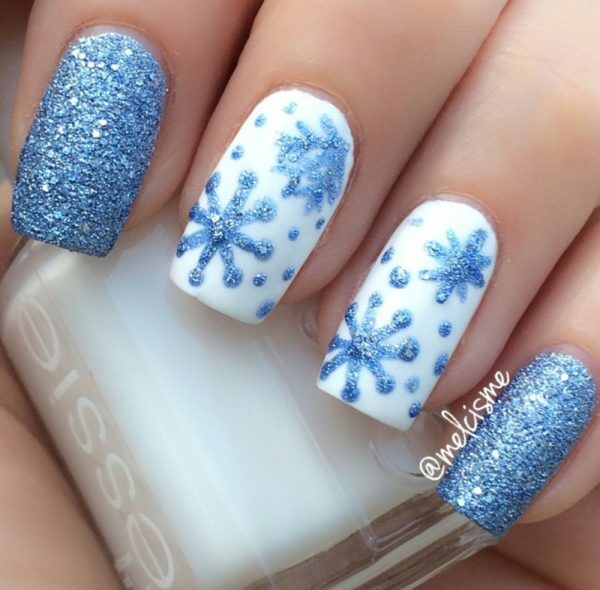 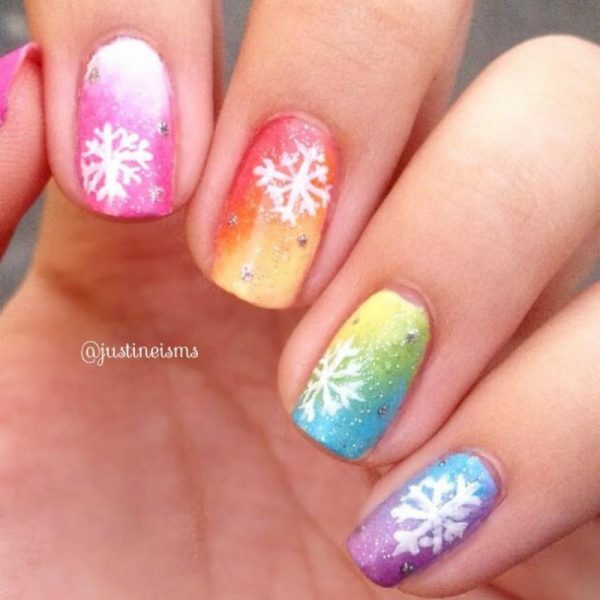 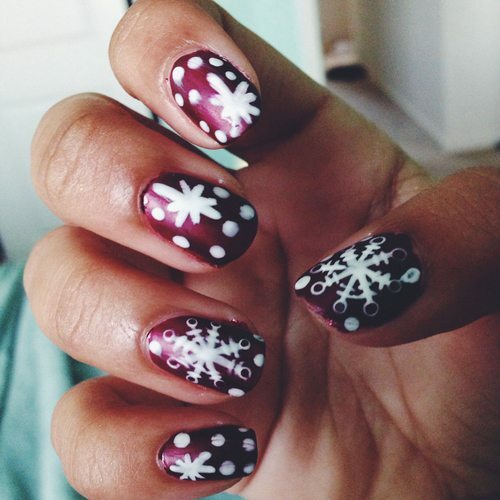 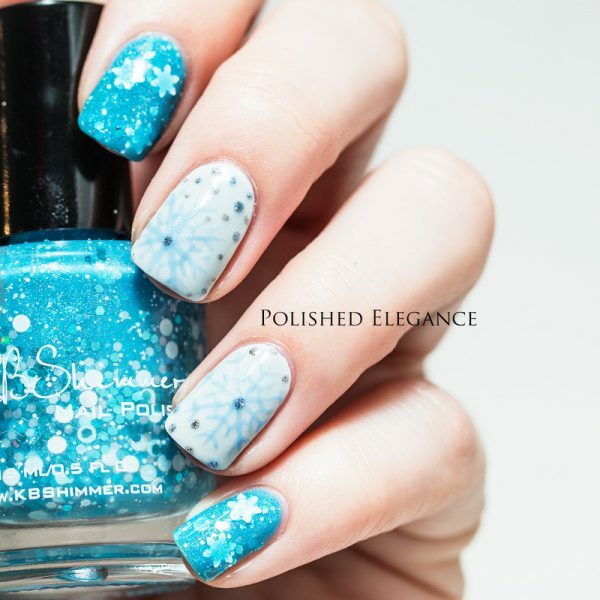 Ladies, bring the spirit of Christmas and winter with the snowflake nail art. 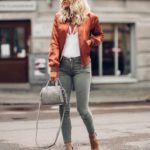 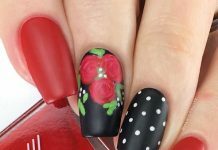 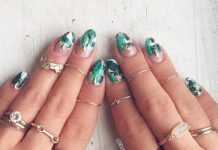 Nail art has been quite a fashion lately. 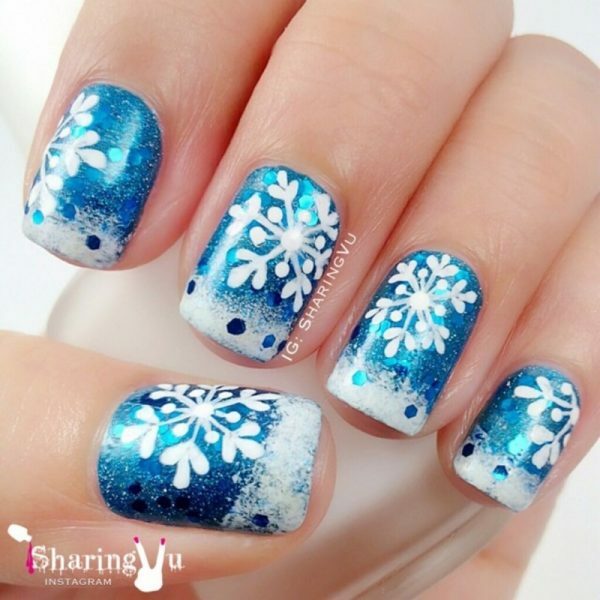 There are many kinds of designs created conveying various themes, and snowflake is one of the best themes to be selected for Christmas and winter, besides some other fancy themes, such as Christmas tree, Santa, mistletoe, and some other Christmas nuances. 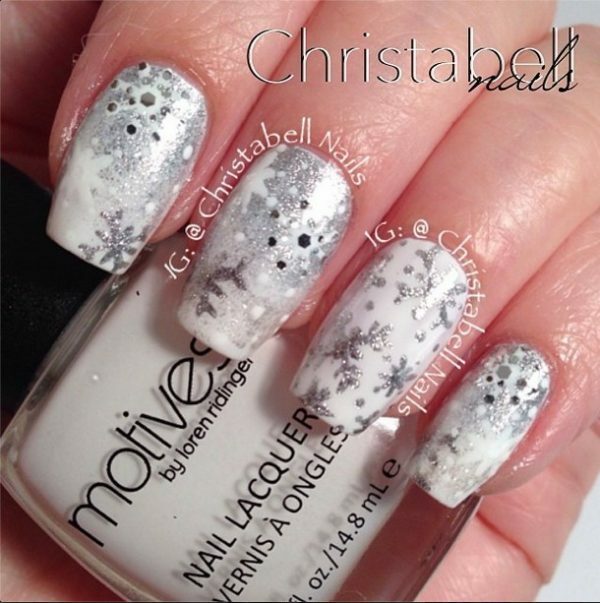 Then, add dots to the end of each line still in white polish. 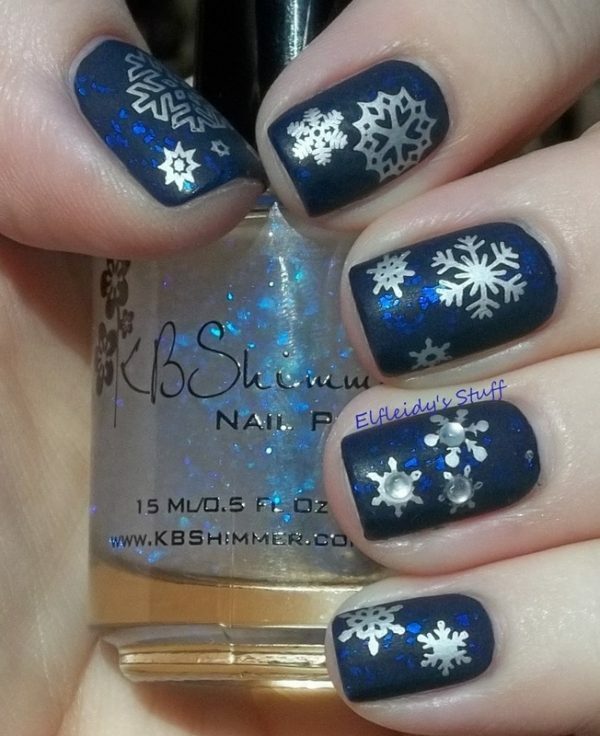 Having done this, let’s go back to the center of the snowflake to give little Whisps in each space between the lines. 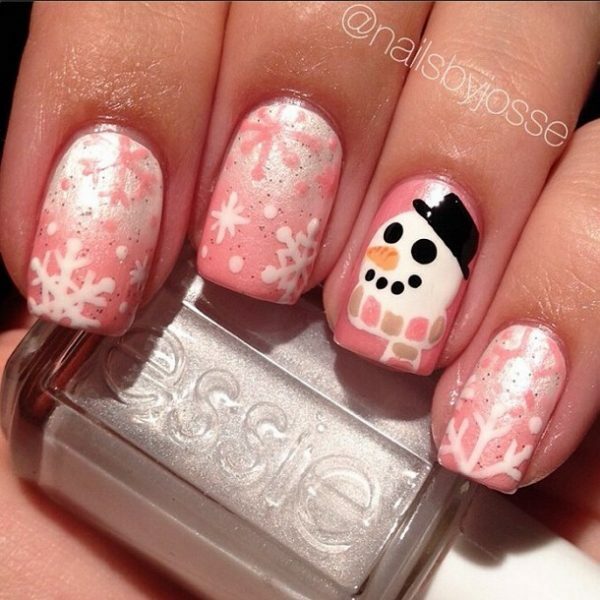 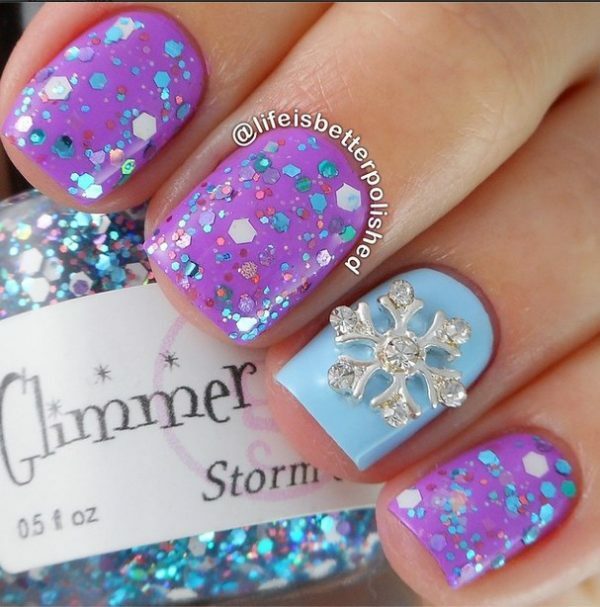 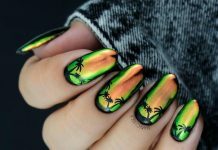 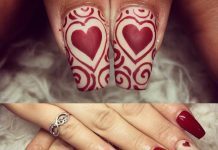 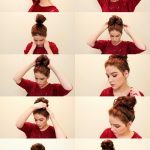 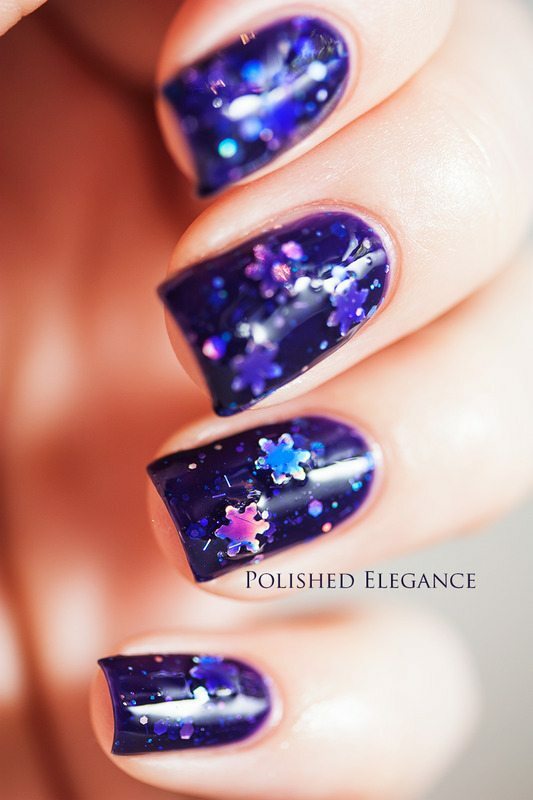 Check these nail art pictures and get your own inspiration!